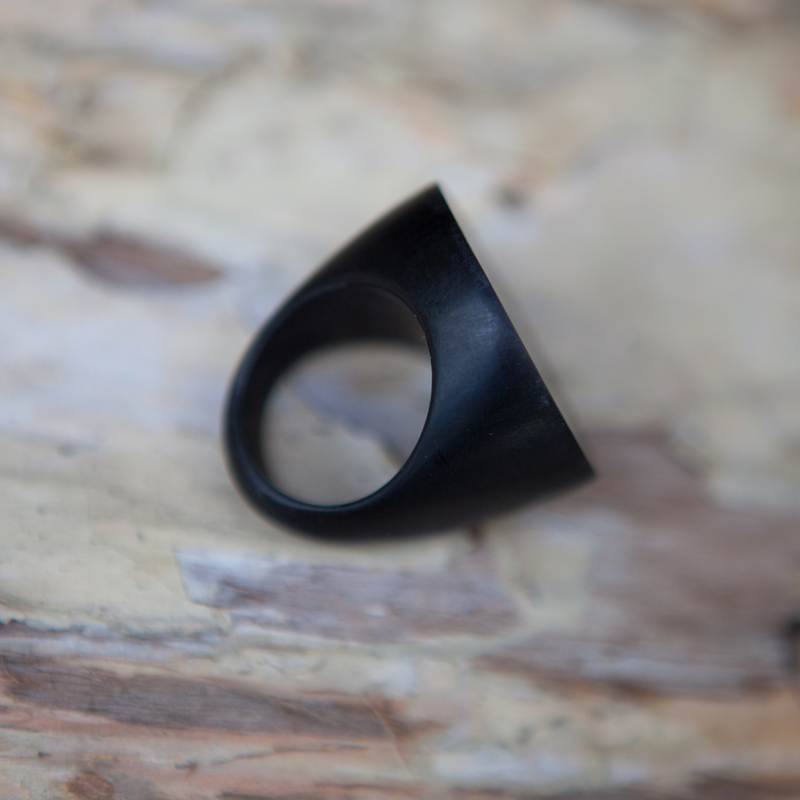 We love this sleek, geometric design which is available in emerald green, bright red and black. 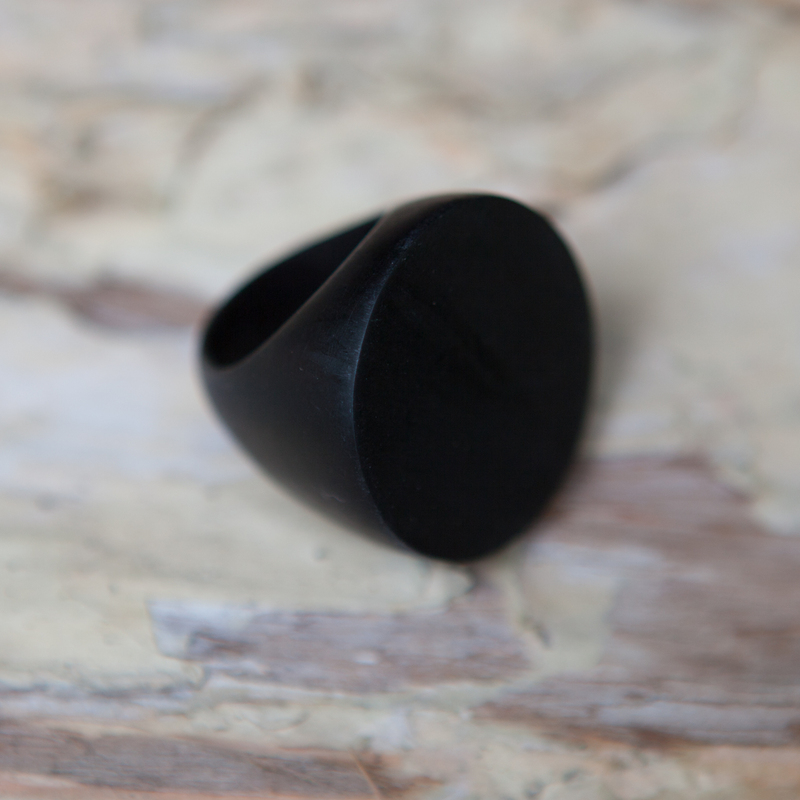 This ring sits smoothly on the hand. 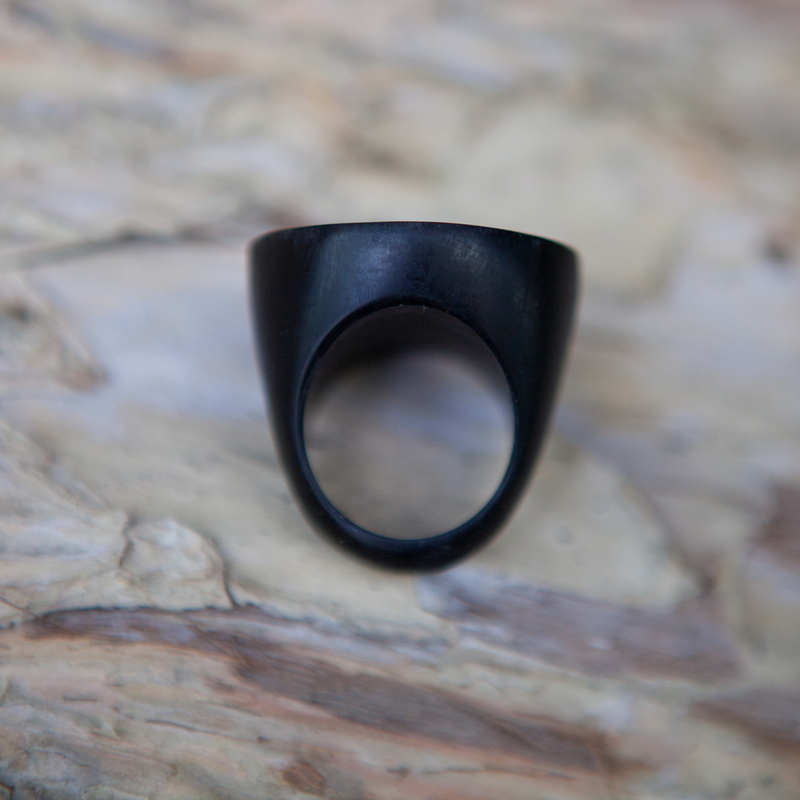 Ring size: One size only (approx '18' in ring sizing).